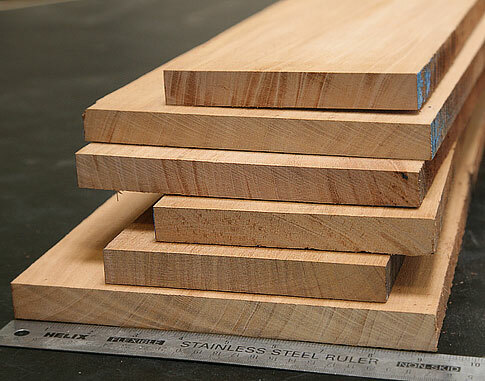 African Padauk lumber comes in random widths and lengths, with a uniform thickness. Gorgeous and naturally colorful wood will blow your mind. Padauk elicits the joys of woodworking with its solid and consistent color, and its ease of routing, cutting, sanding and finishing. But it's also so vibrantly colored that you'll want to use this one in your most decorative projects like keepsake boxes, musical instruments, fine furniture pieces. African padauk also makes an excellent wood for inlay if you just want to use a little bit. Contrasts well with pale woods like maple and ash, but also darker woods like wenge, walnut, and ebony. Order two pieces of Padauk for a solid body guitar. I was very pleased with the grain structure on these two pieces. Big board with minimal checks that closed up slightly after acclimating to my weather in California. 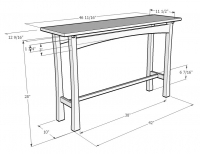 Always happy with Woodworkers Source!! Superior wood for exotic endgrain cutting boards. The boards were of excellent quality. I will lose very little wood for prep to glue up. The boards were oversized as stated in the advertisement. 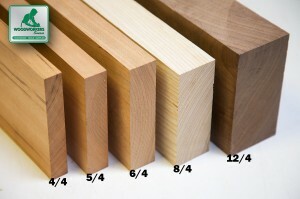 The boards were free of defects. Great color through out the pieces I received. Nice size which will let me do a lot with them. Very happy with purchase.